Using the Herschel Space Observatory and ALMA, researchers have discovered that the unusual disk around the star HD 21997 appears to contain both primordial gas left over from the formation of the star itself and dust that appears to have been produced in collisions between planetesimals. Planets are formed in disks of gas and dust around nascent stars. 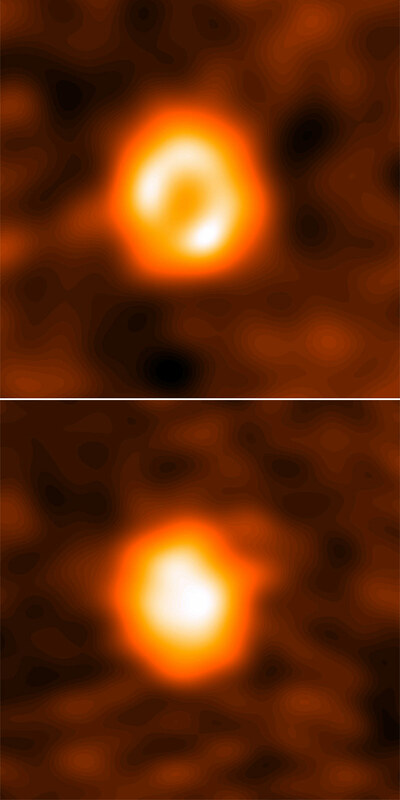 Now, combined observations with the compound telescope ALMA and the Herschel Space Observatory have produced a rare view of a planetary construction site in an intermediate state of evolution: Contrary to expectations, the disk around the star HD 21997 appears to contain both primordial gas left over from the formation of the star itself and dust that appears to have been produced in collisions between planetesimals – small rocks that are the building blocks for the much larger planets. This is the first direct observation of such a “hybrid disk”, and likely to require a revision of current models of planet formation. The astronomers used both ESA’s Herschel Space Observatory and the compound telescope ALMA in Chile to study the disk around the star HD 21997, which lies in the Southern constellation Fornax, at a distance of 235 light-years from Earth. HD 21997 has 1.8 times the mass of our Sun and is around 30 million years old. Attila Moór from Konkoly Observatory adds: “Our observations also showed that previous studies had grossly underestimated the amount of gas present in the disk. Using carbon monoxide as a tracer molecule, we find that the total gas mass is likely to amount to between 30 and 60 times the mass of the Earth.” That value is another indication that the disk is made of primordial material – gas set free in collisions between planetesimals could never explain this substantial quantity. 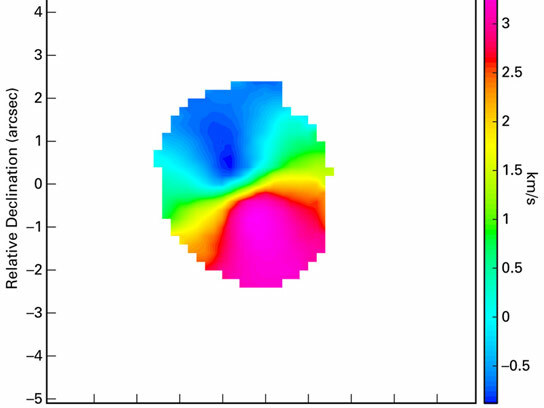 The team is currently working on finding more systems like HD 21997 for further studies of hybrid disks, and to find out how they fit within the current paradigm of planet formation – or the ways in which the models need to be changed. Be the first to comment on "A Rare View of a Planetary Construction Site in an Intermediate State of Evolution"